Ionix Supreme is a liquid dietary supplement that includes over 100 vitamins, minerals and herbs. This once to twice daily energy drink can be taken alone or as part of Isagenix's 9-Day or 30-Day Weight Loss Program. Ionix Supreme can also be purchased in powder form and mixed with water to create the liquid supplement when you are away from home. Ionix Supreme contains nine adaptogenic herbs, a class of herbs that help your body adapt to stressful situations that can initiate depression, high blood pressure, premature aging and weight gain. Adaptogenic herbs provide your body with the appropriate tools that it needs to regain balance after you experience a sudden shift in either stress-induced under-activity or over-activity. According to Dr. Edward C. Wallace, adaptogenic herbs accomplish this by revitalizing your adrenal glands, one of your body's defense mechanisms for responding to stress and emotional shifts. The nine Ionix Supreme adaptogenic herbs are ashwaganda root, schizandra extract, tribula terrestris extract, Siberian golden root, Siberian ginseng, rhododendron caucasicum, maca extract, Nepali shilajit and wolfberry extract. MSM, or methylsulfonylmethane, is a sulfur compound that aids in collagen production and connective joint tissues. MSM is believed to be an essential protein building source in the body and is used to alleviate the symptoms of rheumatoid arthritis, back pain, lupus and other autoimmune diseases. 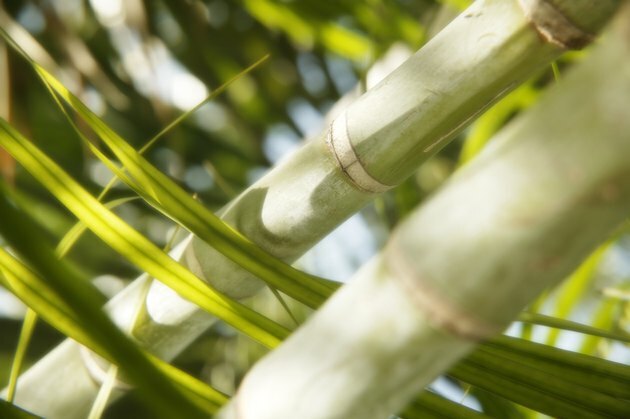 Bamboo stem extract is used in traditional Chinese medicine as a cardiovascular and skeletal structure supporter and digestive aid. Bamboo stem extract contains amino acids and the vitamins B1, B2 and C.
Fulvic acid is a naturally occurring electrolyte found in the adaptogenic herb Nepali Siljajit. According to Natural News, fulvic acid can pull out heavy metals from the body and break them down into absorbable materials that the body can expel on its own. Ionix Supreme also includes aphrodisiac herbs for enhanced sexual performance. Some of these herbs are also adaptogens, such as Nepali Shilaji, Siberian ginseng, maca extract and ashwaganda root extract. Additionally, Ionix Supreme supplies schizandra extract, velvet bean and ginger extract to support sexual health and vitality. Ionix Supreme additionally supplies the following herbs: sorrel flower extract, bacopa extract, harada, amla extract, blueberry extract, hibiscus, kiwi juice concentrate, blueberry juice powder, stevia extract and watermelon juice extract. Ionix Supreme includes John Anderson's IsaLyte trace mineral concentrate, a collection of 70 ionic trace minerals. Ionix Supreme's quartz crystal mineral-rich water includes magnesium, silica, calcium and trace minerals. Ionix Supreme's other ingredients include betaine hydrochloride, a digestive juice; blackstrap molasses; citric acid; alpha-lipoic acid, an anti-aging antioxidant and the vitamins B1, B2, B3, B6, B12, C and folic acid, and zinc.